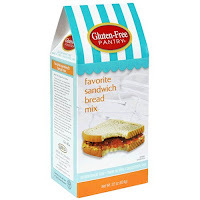 It seems like I am constantly discovering companies that produce delicious gluten free baking mixes! One such company is Little Bay Baking based in New Hampshire. 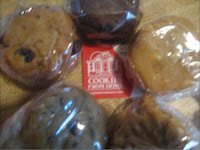 To order their products, you can purchase them on their website at www.littlebaybaking.com (over $30 gets free shipping) or at a variety of health food stores in the New England region. 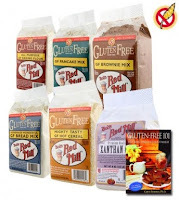 For those of you that have been on a gluten free diet, you know that Bob's Red Mill has a great assortment of necessary gluten free baking ingredients. They even sell what I consider to be one of the most essential ingredients in gluten free baking, xanthan gum! In addition to being gluten free, all of their products are certified Kosher and coming soon Bob's Red Mill will have a website devoted entirely to their gluten free products! 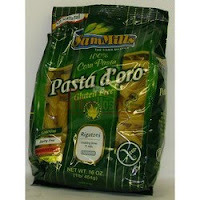 All of their products are available to order at their website at www.bobsredmill.com. 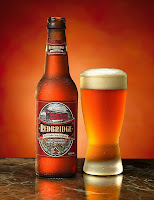 You can also find them at supermarkets and health food stores, as well as, at Ms. Celiac's Market! I also wanted to send out a special thanks to both POM Wonderful and Dei Fratelli Tomatoes for sending me an assortment of their products during the month of August! They were delicious! So, tonight begins Rosh Hashanah and for those of you craving your traditional holiday dishes, you need not fear. I've gathered some recipes for gluten free versions of all of your favorites! Also, be sure to check out the blog, I Am Gluten Free, for another great challah recipe! And for some ready-made challah rolls, check out Katz Gluten Free award-winning challah rolls! 6) Season with salt and pepper and serve! I hope everyone enjoys this tasty gluten free pasta recipe! A brand that I have mentioned on this site before, Katz Gluten Free, has introduced a new bread to their current product line. I was lucky enough to receive a sample loaf of this new Wholesome Bread. The Wholesome Bread, in my opinion, has a really super whole grain taste to it. It is also a great source of fiber and protein and is made out of garfava bean, teff, coconut, chia seed, flax seed, and honey. It retails for $7.99 and is stored frozen. All of the products by Katz are gluten free, dairy free, nut free, and kosher. For more information, please visit their website at www.katzglutenfree.com. Last week, I received a package of Pomx Tea from the company, Pom Wonderful. After sampling the tea, I am now positively addicted to it! It is one of the most refreshingly delicious gluten free teas that I've ever had. Pomx tea is a hand-picked, whole-leaf tea with less caffeine than traditional tea. It is packed with Pomx - a highly concentrated blend of polyphenol antioxidants made with the same California pomegranates in Pom Wonderful 100% Pomegranate Juice. This drink has more antioxidants than red wine, green tea, grape and acai extracts! You can find Pomx Tea in the produce department at your local supermarket. In addition to this drink being good for you, its' container is also good for the environment. The new plastic bottles are made from 100% recyclable plastic and use less energy to produce than glass! For more information, please visit www.pomxtea.com! It's that time of year when everyone is having barbecues with hamburgers and hot dogs and it can be a completely dreadful experience to those of us on a gluten free diet. However, it doesn't have to be as it is quite easy to prepare a completely gluten free hamburger and hot dog with the bun and everything! Whole Foods Bakehouse sells gluten free Hamburger Buns and Trader Joe's sells French Rolls that make for a great hamburger bun. Ener-G Foods, The Grainless Baker, and Kinnikinnick all sell gluten free hot dog buns and are available in various health food stores. Finally, for the ketchup, go get some from Heinz and for mustard try some of Annie's Naturals! For those of you that have enjoyed ice cream at Marble Slab Creamery, then you are in luck as they have many gluten free flavors! In fact, when you go to one of their locations they will provide you with a list of all of the flavors that do not contain gluten! This fresh-made gourmet ice cream shop has locations throughout the United States and in Canada, Puerto Rico, and the United Arab Emirates. For more information, please visit their website at www.marbleslab.com.